photo+sphere is the type of event that moves Asheville forward, in being a part of the dialogue on environmental impacts, in exploring innovation in art, and in solidifying the city’s growing reputation as one of the country’s top art destinations. This year’s event brought scientists and artists together for five days of exhibitions, panels, films, and workshops to explore how we see our environment and our role in determining the future. Check out a few highlights from the event here. At Dot Editions we are proud to have been a sponsor for the event and work with a number of artists on scanning, printing, mounting, framing, and installing work for various exhibitions. And we are certainly excited to have had the opportunity to share our space for Susan Patrice and Benjamin Dimmitt’s show titled A Dialogue in Photographs. documenting processes of change on varying timeframes. Dimmit has been photographing the same estuary on the Florida coastline for 20 years and presents images, often paired, of the past and preset to visually represent the damages that increasingly saline water has had on the ecosystem. 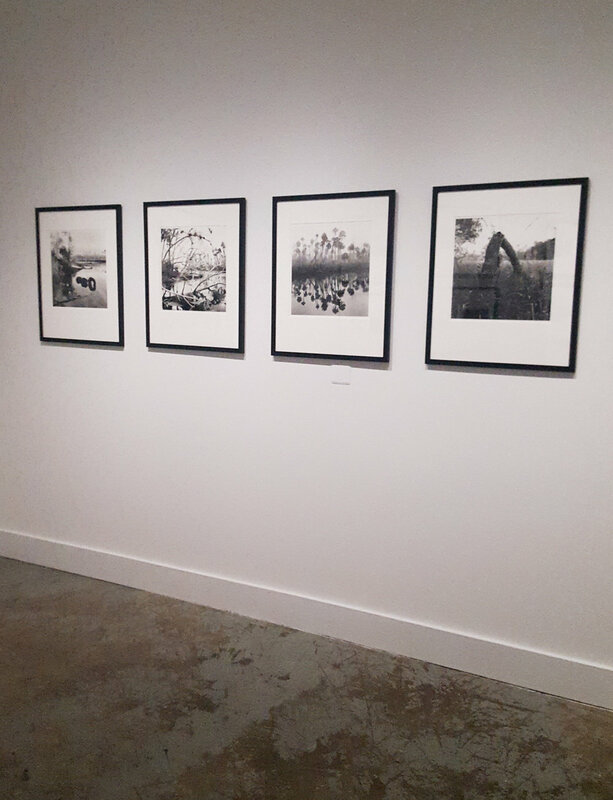 Patrice’s photographs were taken as part of an intuitive process of tracking subtle changes in light through the Pisgah forest canopy, responding to more immediate shifts in the environment during days spent in the woods. A Dialogue in Photographs does just that, invites us to examine our role in the ever-changing landscape and reflect on our place in the world. The exhibition is up through November 30, 2019. Teaser: A Dialogue in Photographs is not a one-off exhibition for Dot Editions. Stay tuned for more on The Gallery @ Dot Editions, officially opening in early 2019.